We warmly invite you to stay at our Studio in our modern home. A wonderfully relaxing place to stay with panoramic views of Akaroa harbor. Perched above native bush, it is tranquil and private. Enjoy stunning sunsets, the sound of the sea and the peace and quiet of this seaside property. The Studio is attached to our house with a queen-bed, kitchenette and en-suite bathroom. It has its own separate entrance so come and go as you please. Air-conditioning, WiFi, SkyTV including sports channels are all free. Relax in our spa pool overlooking the harbour. Contact us for information/bookings for personalised harbour cruises and/or sailing coaching on a modern 10.2-metre FARR MRX yacht. Flexible departure times and durations - subject to weather conditions and prior bookings we will sail when and for as long as you want to go. Small groups, minimum of 2 people for 2 hours. Hands-on sailing or sit back with your camera while we take you on an exploration of the harbour and its wildlife. Look for us (akaroacoastalretreat) on Facebook and Instagram for more photos of the amazing scenery you can expect to see on Banks Peninsula and suggestions for places to go (and how to get there) and things to do when visiting Akaroa. In the summer there is dolphin watching/swimming, kayaking, sailing and penguin watching tours leaving from Akaroa township, 3kms away. Close to the Banks Peninsula Track and other shorter walks. There is an 18 hole golf course in Duvauchelle, 10 minutes drive. Your own car is required for these activities. If accommodation is required for families and larger groups please visit our Akaroa Coastal Cottage listing #256. If this accommodation is booked for the dates you require, have a look at our Akaroa Coastal Cottage listing #256. We would recommend this property. It sits overlooking the harbour and is thoughtfully appointed. Access to the spa is a bonus. It's not big enough for a separate sofa to sit on but that doesn't really matter as you can take in the view from the bed and dinning table. The kitchenette is basic but again there are many thoughtful touches. The communication from and contact with the owner are highly efficient. It is fairly priced we thought. We enjoyed our stay and would consider again. 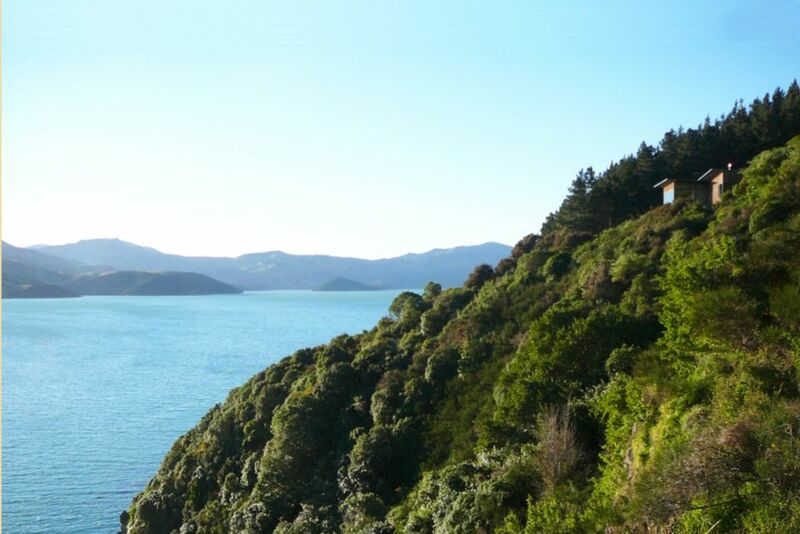 The property is some 4km away from Akaroa, in a setting that is peaceful. There is scope to prepare meals and share other facilities with the owners. Small, clean and comfortable, everything we needed for a few days in Akaroa. A real treat waking up to that view. Fantastic location overlooking the bay especially from the spa. The host was brilliant, thank you!! Lovely location and fantastic to sit in the spa at night. Lovely location and fantastic to sit in the spa at night. We really appreciated the little extra touches, such as torches and cookies.